If you have been toying with the idea of buying a second, vacation home in wine country, now is a great time to take the leap and Napa Valley real estate is the perfect place to invest. Interest rates remain low so it’s a great to time lock in and enjoy the continual growth in market values. According to the National Association of Realtors, vacation-home sales accounted for 13% of all transactions last year, their highest market share since 2006. “What our customers tell us, and what the data tells us, is that for an individual who is well-qualified and who clearly wants to purchase that second home, this is an outstanding time to buy,” says Edward Achtner, a Bank of America regional sales executive overseeing the Northern California and Oakland market. 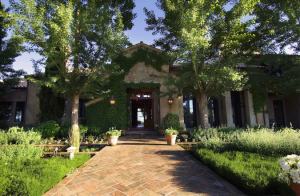 In a recent blog, I shared all the “Second home tax benefits you need to know.” In this blog, I am going to explain why Napa Valley is the perfect location to buy a second home. Of all homes bought in the West, 28% are purchased with the intent of using them as a vacation home. Shockingly different from the rest of the country, second homebuyers in the West tend to look for vacation homes inland. According to a New York Times article, “Vineyards with Vistas,” second homebuyers in Napa come from Los Angeles, Texas, the East Coast and even beyond North America, seduced by our outstanding restaurants, fabulous cultural events, coast-side golf courses, unique shops and galleries, easy access to the Pacific and the redwood forests, and, of course, our award-winning wineries. The climate and topography that make the Napa Valley so ripe for viticulture also have created an awe-inspiring hiking landscape. Napa Valley real estate offers gorgeous views that’ll make you think you’re in Tuscany. Head to Oxbow Public Market or the Oakville Grocery Store to pick up local cheeses, olives, and, of course, a bottle or two of our world famous wine, then hike up into the hills for a picnic. Then there’s the art in Napa. Many wineries display large sculptures throughout their grounds and often house their own galleries. The Hess Collection Winery and Art Museum may be one of the more distinguished ones. Napa is also home to two retro theaters: the Uptown Theater and the Napa Valley Opera House. The Uptown Theater is a converted old Hollywood cinema that now hosts everyone from Ani DiFranco to Los Lonely Boys to David Sedaris. The Napa Valley Opera House is home to City Winery, which stages both concerts and stand-up comedy. 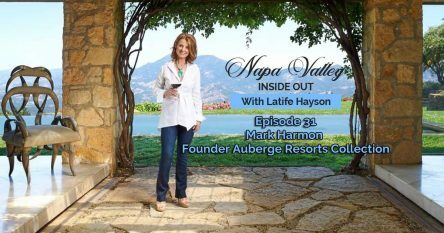 I could go on and on with reasons why Napa Valley real estate can make the perfect second vacation home. I’d be delighted to share more insider knowledge of the many benefits of owning a home here as well as intel on both public and private sales. Feel free to contact me at 707-738-4820 or email [email protected]. 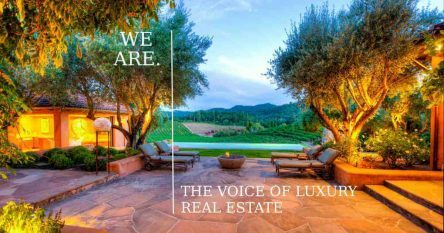 As a top producing Realtor® in Napa Valley, I have access to some extraordinary wineries, vineyards, estates and homes in Napa, Yountville, Saint Helena and Calistoga. The inventory is extraordinary right now and each and every property has spectacular views. I look forward to helping you buy or sell your property in this beautiful part of the world.